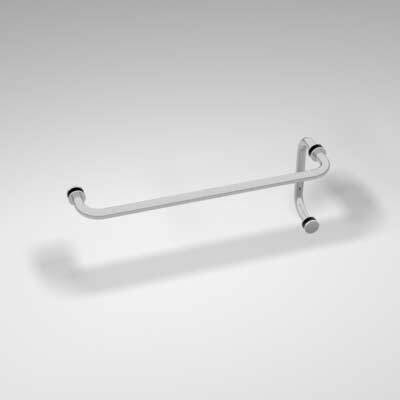 Towelbar handle which allows you to conveniently reach for your towel after you have finished with your shower. Requires 3x 12mm holes (3 holes in "L" configuration. Holes spaced 457mm apart for horizontal towelbar and holes spaced 150mm apart for vertical pull handle).